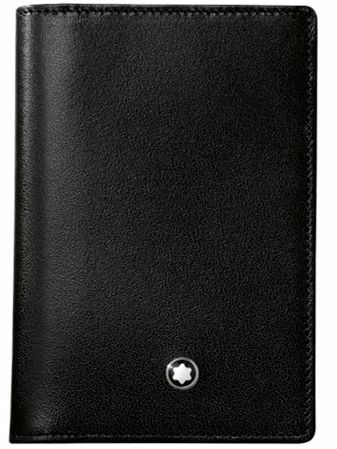 Order your Montblanc Meisterstuck Business Card Case today from FahrneysPens.com. Fine Pens, Refills & Luxurious Gifts – great prices & fast shipping. The Montblanc Meisterstuck business card case lets you enjoy the appeal of distinctive leather goods handcrafted in European full-grain cowhide with unique Montblanc deep shine. The exquisitely smooth surface, the hand-stitching and finishing, and the Montblanc star guarantee you a handsome and long-lasting accessory. The Montblanc Meisterstuck business card case features two credit-card slots and three full-length pockets for business cards or cash. Card case measures 4 1/2 x 3 inches.